"Bloom Night" is a highly anticipated event every year at Tucson's Tohono Chul Park. 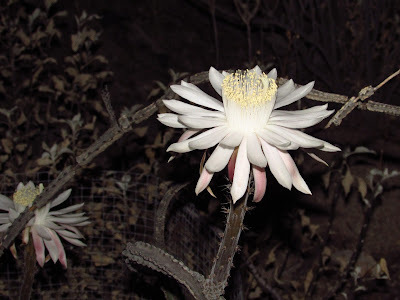 With sometimes just a few hours' notice, the park will issue the announcement that it is "Bloom Night" and thousands of visitors come to the park to view the mysterious night-blooming cereus that bloom for just one night. It is a spectacular, breathtaking event! Photos courtesy of Sue Dodson. Any info on how heady the fragrance is? Hi Roseann! 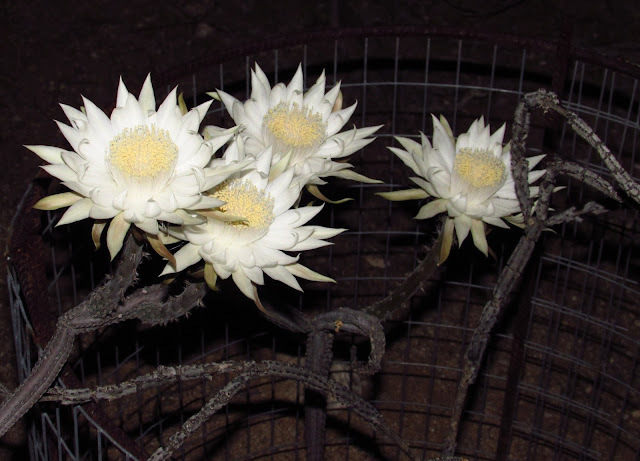 The aroma can be described as "intense and intoxicating" according to the TCPark website. Click the link in the post and you'll see more photos of these beauties.